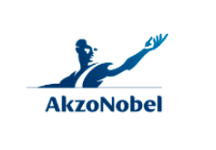 As a global company active in numerous markets, AkzoNobel (with revenue of €14,3 billion) is similar to many other large organizations. It generates revenue, incurs costs, and creates value for shareholders. For that purpose, the Impact Institute provided them with an IP&L and a tool to calculate returns on social, natural, and human capital. This project allowed AkzoNobel to estimate the return on training investments and identify targeted interventions to address social risks. In addition, AkzoNobel learned that social capital can be improved by creating awareness and continuous improvement on issues around health and safety, rights at work and with local communities. Gaining a better understanding of these aspects – and attaching a monetary value to them – helped AkzoNobel to identify possible improvements and ultimately increase business value.